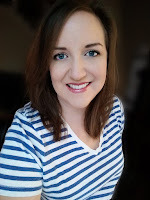 Everyone has their own way of doing laundry, so if you are happy with your ways feel free to skip right along past this post. I finally figured out what works for me and our family of 5. So here's what I've been doing the last couple of years and how it works for us. I pick one day a week to do the majority of the laundry. I start in the morning and I end the day with folding and sorting. For me, Mondays usually work the best for me. Monday tends to have less scheduled activities and therefore less conflicts that get in the way of getting the task of it all done in a single day. 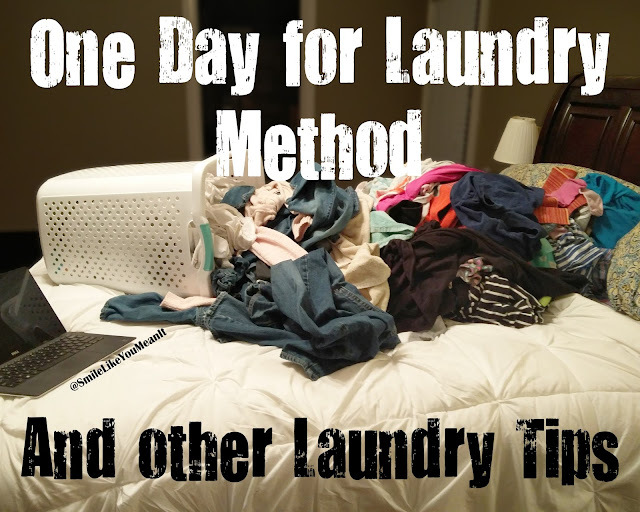 Our current laundry day is actually Tuesdays, because we had a Monday night conflict, but once the school year it out, my laundry day will be switching back ASAP! I've tried many days of the week over the years and Mondays have been consistently the easiest to keep as laundry day. During my ONE day of laundry, I usually wash about 5 loads of laundry ~ Lights/Colors, Darks, Jeans, Whites, and Towels. Sometimes the Lights and the Colors are their own loads but I usually mix them. Whites are things that are ONLY white so I can bleach them when needed. Sheets get washed on their own day because that's a huge task all by itself. Sometimes the kids help me gather and sort the laundry. Other times I'm nice and I do it all myself. It's easier to make them help when school is out for the summer. It's a great simple chore for them to get them involved in the laundry! You can always check their sorting and move things as necessary! Random Laundry Tip: My kids take baths pretty regularly, and they also get their clothes pretty dirty. I started keeping a laundry hamper or basket in the bathroom where they take a bath. I also started keeping stain remover spray there. Now I can peel off their clothes, pre-treat them and then toss them in the hamper. I know you probably aren't supposed to do it days before you actually wash them...but if I don't pre-treat them until laundry day, I have noticed the clothes tend to stay stained. It's been working out so much better this way! During my ONE day of laundry, I keep up on switching the loads to make sure it keeps going until it's all washed and dried. The clean clothes get dumped on a big pile on my bed. I've folded laundry on couches and tables, but i like using my bed for a couple reasons. ~ It's clean ~ no food or dirty dishes or papers to clean off of it first. Couches are great, but then your back is usually facing the TV (we'll get back to this later). ~ Also the clothes are most likely to fall off the backs and arms of the couch ~ super frustrating. So that brings me back to the bed! One giant flat, clean space to work on. So now all the clothes have been washed and dried...Now they need to be folded. I used to dread this part but now I don't mind it. It's 1 hour of my day (sometimes 1 1/2 hrs) dedicated to just me and the laundry. And I make this time enjoyable by binge-watching my favorite shows!! 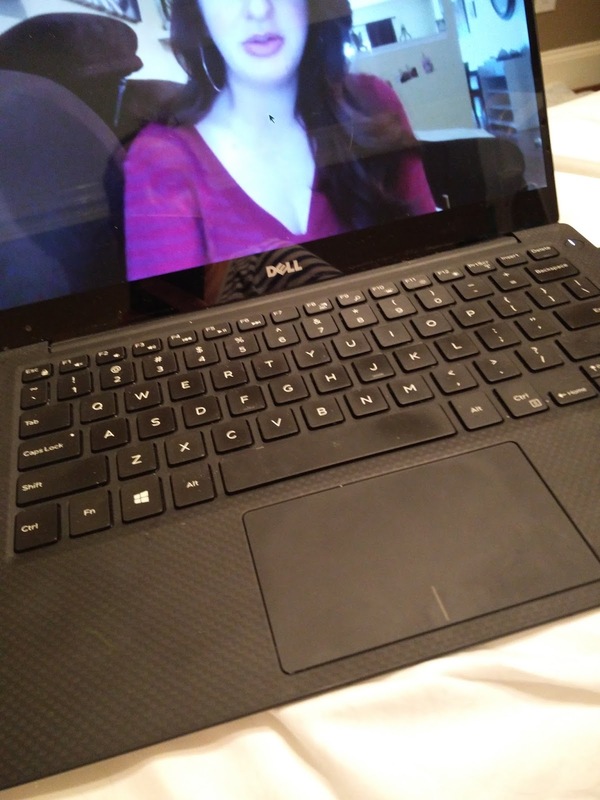 In my old house I had a TV in my bedroom, but we haven't set that up yet, so I just use my laptop and open up Netflix. I watch one season of a show and then move onto another show. Over the years I've watched, Grey's Anatomy, Once Upon A Time, Downton Abby, and I'm currently watching Jane the Virgin. I take over the whole bed with my piles. 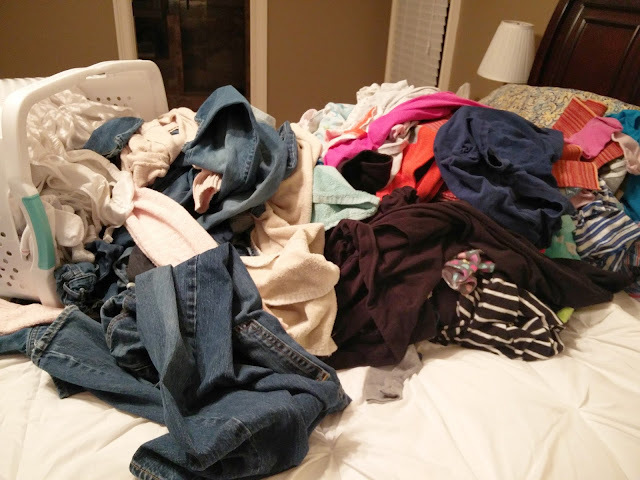 The clean clothes get dumped out on one side of the bed and the piles start taking over the other side. Most of my own clothes and my hubby's shirts get put onto hangers. Instead of putting them on hangers as I go, I lay them out in a pile and then put them all on hangers at the same time. Then I don't sort mine & my hubby's out until I'm putting them away in our closet. 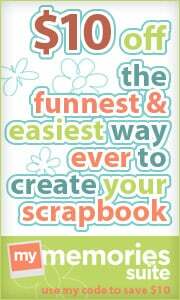 Trust me that this saves SO much time! 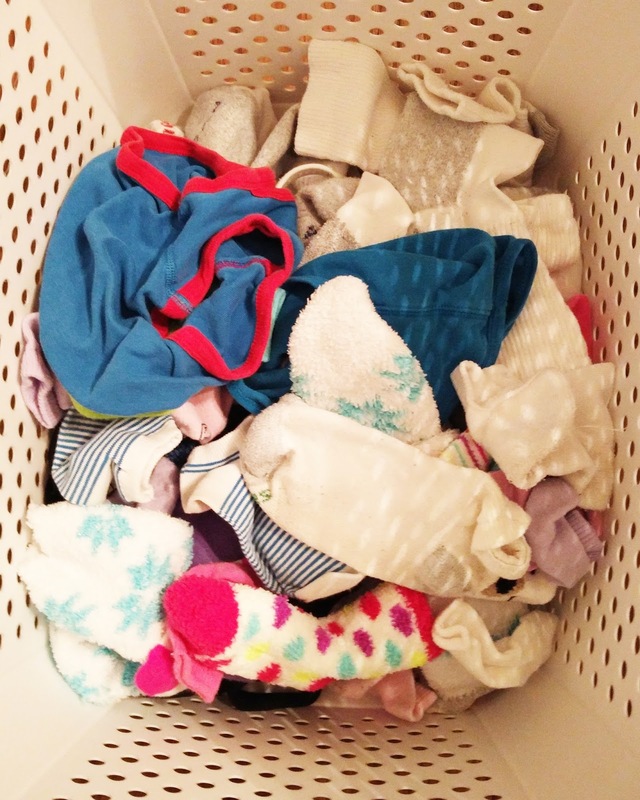 Another time saving tip is to ignore all the socks and underwear until the end! I throw all the kids' underwear and everybody's socks in a basket until I'm done folding the rest of the laundry. Then, I can sort them into stacks of each persons' socks. Nothing gets "paired" up. Ever. Not even my little girl's multi colored socks. (And she's the only one who has ever had more than just white socks, by the way.) You want to simplify life?? 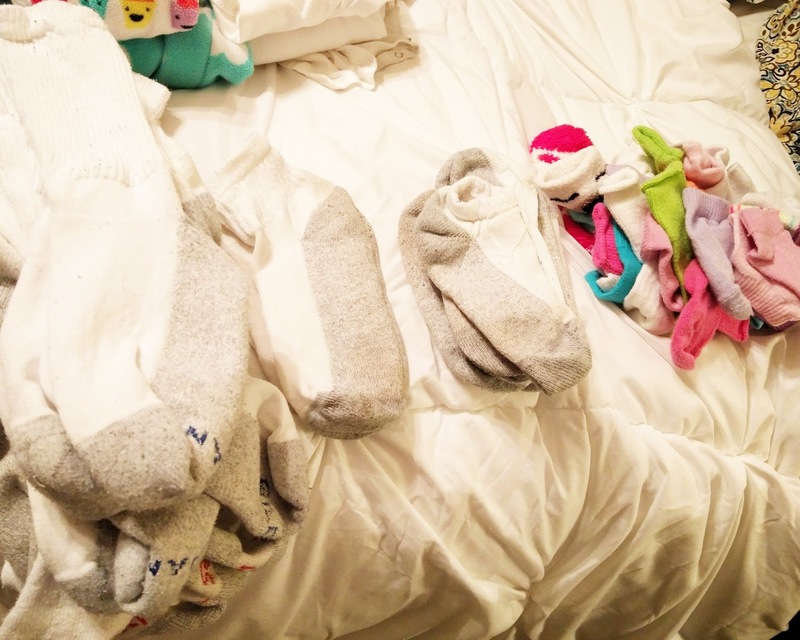 Get rid of the cutesy socks and each kid gets one type of sock. Ruby is my exception, but her socks stay together for the most part (we are missing a few here and there) But they all get dumped into an ikea Skubb box and I find matching socks when I put them on her feet. No need to do it on laundry day!! Same for underwear -- I don't fold underwear, I simply sort them out into whose it is and they put it in a basket inside their dresser drawers. After ALL the laundry is folded, I start putting it away. I put all of my hubby's and my laundry away in our closet, and then I put away all the towels. 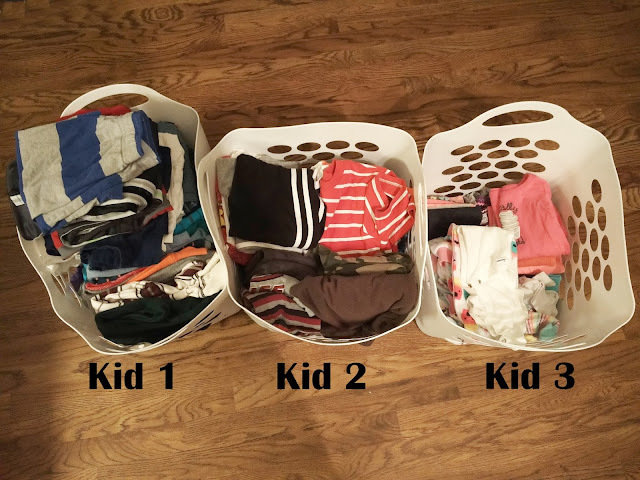 Since my kids are all sleeping in their rooms by this point, they each get a basket with their folded laundry. I put the baskets outside their door and in the morning, they put the laundry away. I help Ruby put hers away. This process has simplified laundry day so much! Although I am usually beat by the end of the day, I still kind of look forward to just being able to watch my show and do my own thing for an hour that night. I also feel so much better when I stick to this routine and get all the laundry done and folded in that one day. 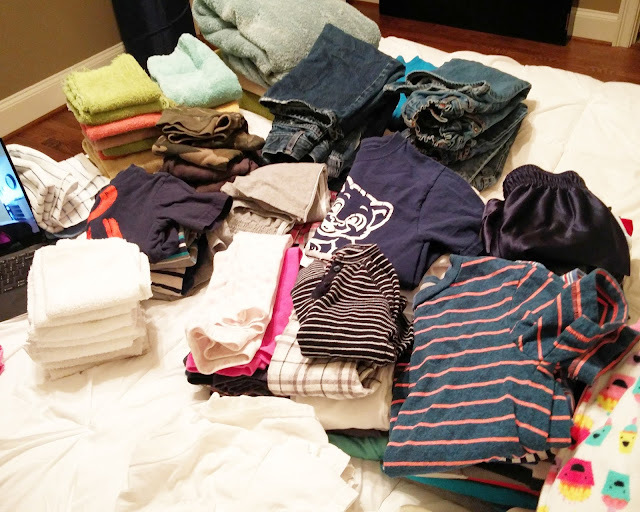 If I don't fold it that night...it tends to just lay around until nearly the next laundry day and my kids constantly bug me about not having enough pants... so it's just better to do it all and be done with it for a whole week! What are your best laundry day tips?? Thanks for sharing these great tips! And how are you liking Jane the Virgin? Haha, I love it! I just buy new clothes.